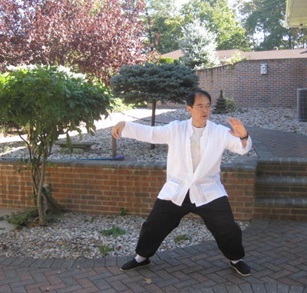 Learn the graceful dance-like progression of Chen Tai Chi (the oldest style of Tai Chi) which is often described as “Meditation in Motion”. Developed centuries ago as a martial art, Tai Chi also enables us to fight different battles of modern life - including fatigue, stress and joint pain. It is a low impact exercise that helps improve flexibility, strength and balance; placing minimal stress on the body, it is suitable for people of all ages, temperament and states of health. This class introduces the Chen-22 form and its applications, which promote energy flow and the relaxation of body and mind. Please wear loose-fitting attire and bring bottled water. This workshop is offered as part of the 10-Class Community Wellness Pass/Eastover Sampler. Tamir has over 20 years of experience, having taught yoga at Columbia University, Parsons School of Design, Marymount Manhattan College, Roosevelt Hospital, The Integral Yoga Institute of New York, and the Hebrew Home for the Aged in Riverdale, NY.